In concert with the 2015 FFVA Florida Ag Seminars, GeoAg Solutions took the opportunity to meet and recognize their awesome customers. 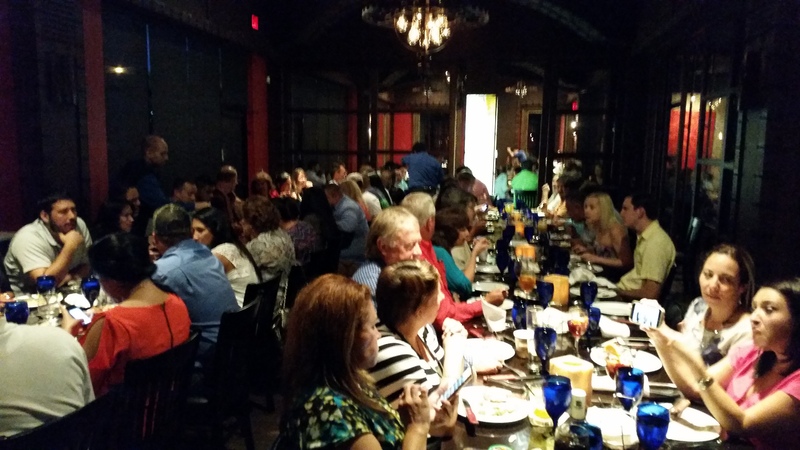 A gathering of over 60 GeoAg Solutions customers consisting of Growers, Labor Contractors, employee leasing companies and payroll administrators was held for thr 4th year in a row at Texas de Brazil in Orlando, Fl. “…this gathering feels like a family reunion and that’s a great feeling…our customers word of mouth recommendations and glowing reviews of our services and support are so very much appreciated” said David Summers, owner of GeoAg Solutions. One of the highlights of the evening was the customer initiated raves and applause for Cole Garvey, (GeoAg Solutions Sales and Support Tech) and his outstanding customer support in the field.